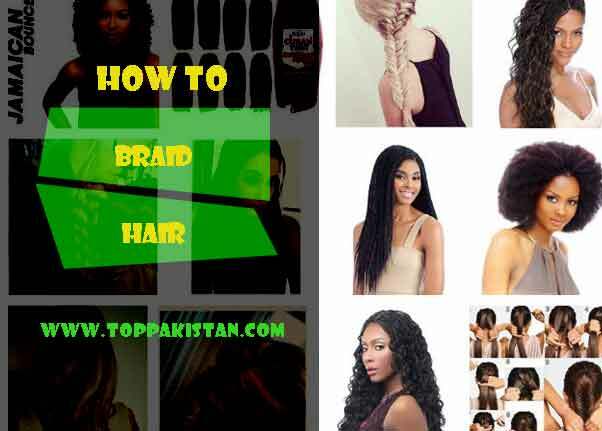 How to Braid Hair is a very common question among girls. The art of hair braiding can find its roots way back in Africa. Different patterns in braids signified varied social status, age groups etc. This type of hair dressing requires thorough knowledge in terms of techniques. Today people of every color & creed love to flaunt it. What is a hair braid ? Braids which are done at home are usually very simple & trouble-free. A braid can also be a complicated arrangement fashioned by intertwining three or more filament of stretchy materials such as textile fibers, wire or human hair. Hair braiding is a very meticulous activity. Some of the styles & patterns may take hours to accomplish. 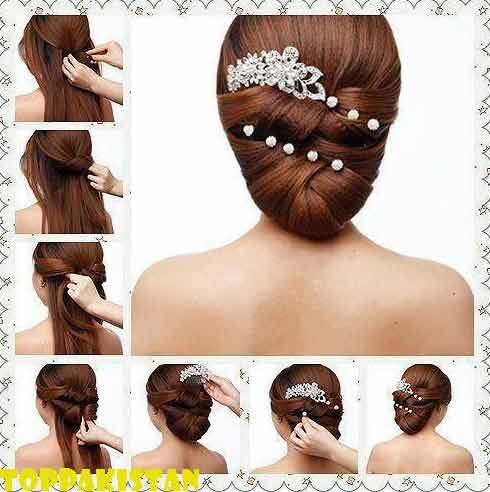 Hair braids can also be built-in to shape hairstyles especially for formal events for e.g. weddings, proms etc., as well as for informal & relaxed styles too. Once the basics of these braids are mastered, many people find their own distinct way to braid differently & more efficiently. How to braid Hair ? Basic hair braiding involves crossing each segment of the hair & tightening it. The same has to be continued, taking up the next division of the hair. 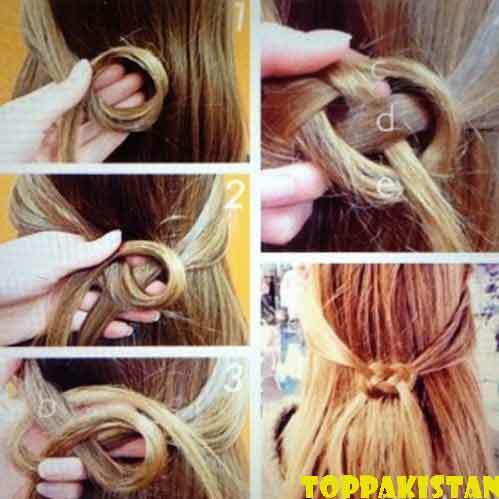 One can use a coated rubber band which will prevent the hair from sticking to it. There are many other braiding styles whose tying procedures are dissimilar. To create beautiful braids one needs to have patience & needs to be consistent when it comes to practice. Braiding is a very cool & stylish way to design your hair. The best way to practice hair braiding is to start doing it from the top and slowly finish it by gathering hair evenly & completing it till the end. There are various types of hair braids. Long hair can be braided into Simple braid, English braid, Dutch braid, Inside out braid, Straight braid, Micro braid, Updo braid, Sloppy braid, French braid and Fishtail braid. 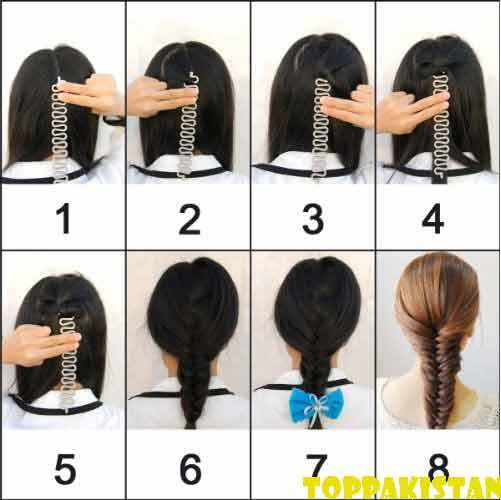 Among all these types, micro braid is the most delicate & petite one. Great amount of skill is needed to style this type of braid. A micro braid is not suited for people having frail hair because it can damage the hair rather than styling it. Prior to the braiding ensure that the hair is not devoid of any moisture whatsoever. Earlier application of a deep conditioner should be encouraged before the braiding procedure. Try to eliminate all the possible split-ends by getting a haircut before the braids are added. For first-timers all set out to do hair braiding, it’s always better to take guidance from experts who are well versed with this art. Try braiding damp hair than dry hair; it’s much easier especially for those stubborn tangles. One can keep a spray water bottle handy before starting the braiding process. It is a good habit to ensure that the hair is as even as possible & totally free from tangles. Also comb it with a wide-tooth comb till the comb moves freely all through the hair & they are knot-free. It is advisable to remove all types of jewelry that may have spikes or things which can get stuck in the hair & spoil the braid when in process. For people not having fine hair, one must also consider applying some amount of gel before braiding and applying the hairspray after the braiding. This is essential so that the stray hair doesn’t become slack, after the braid is finished. The advantage of getting a hair braid done is that it shields your hair from thinning and getting damaged. Hair braids when executed properly can give the hair an inimitable & magnificent look altogether. Improper & careless braiding can be a really painful experience. The effects of such a braiding can have worse effects on the hair itself. Too much tightening or braiding your hair regularly may pull the hair roots and also be the cause of a gradual hair loss. In order to braid (any type & style) the length of the hair should be at least medium or long. It cannot be performed with short hair. If something goes terribly wrong with the braiding, there are chances that the inflicted segments of the hair will have to be chopped.